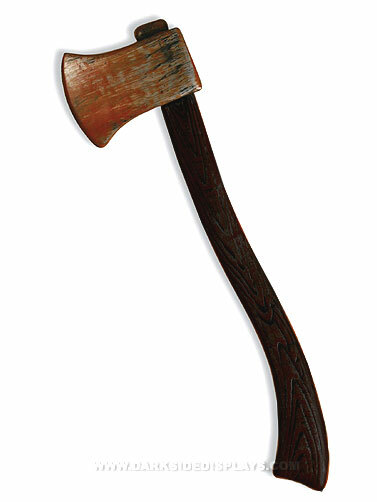 Use this life-sized blood stained axe as a Halloween prop or a costume accessory. Constructed from molded plastic, lightweight. Wood-look handle with metal-look blade, complete with the look of stained blood. Bloody Weapons Cleaver Prop measures 22"L x 6"W.